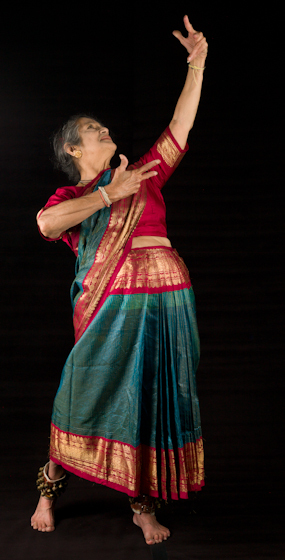 Kamala Lakshmi Narayanan began dancing when she was 5 years old. 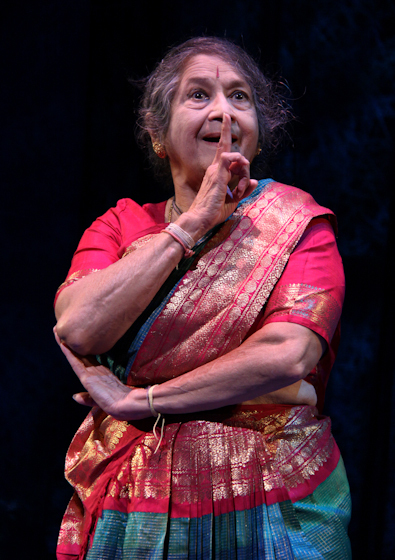 She was born in Mayuram, in south India, but grew up in Bombay (now Mumbai) in the country's north. 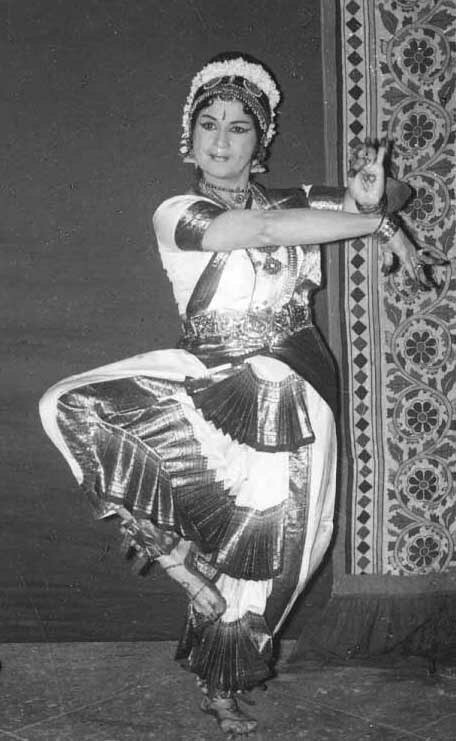 There she began learning the region’s style of classical dance, whose name, Kathak, means “telling stories.” She made one of her first screen appearances in 1939 in the Hindi film Ram Rajya (Reign of Ram). 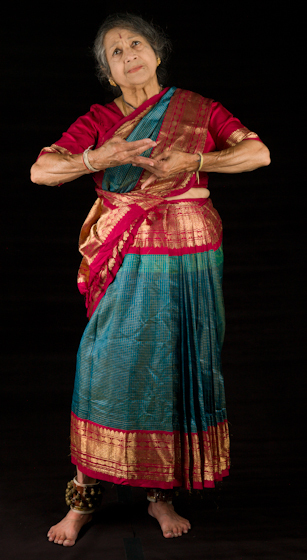 During World War II, her family moved to southern India and she began learning Bharatanatyam, a style that dates back thousands of years and, according to legend, was given to people by Brahma, the creator, as a gift of beauty and happiness during a time of great turmoil. 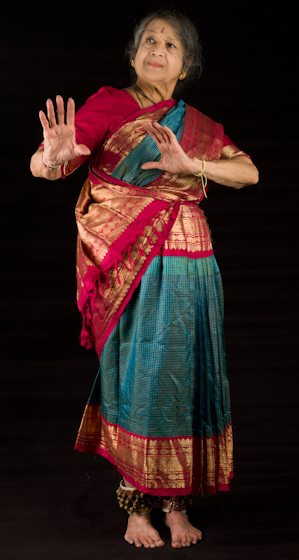 When Narayanan began studying, it was unusual for girls of the high Brahman class to learn Bharatanatyam. Her success inspired others to learn, and, as it gained popularity, Bharatanatyam moved from the temple to the stage and screen, though it retained its spiritual meaning. “It’s not like sexual or anything; it’s a divine dance which shows the stories of the gods, what they did to elevate the human beings,” she explained. “Human beings, of course, you know, we make mistakes in our life, we try to understand our mistakes, we try to correct them and move on for a better life. That’s what the audience comes to learn from the gods. … All these things are … performed on the stage with suitable music in all languages because India is full of languages, different, different languages and different, different ways of living.” The dance style has been called poetry in motion because of its fluidity and expressiveness. 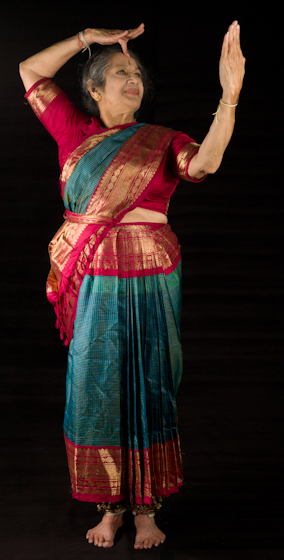 Narayanan has choreographed more than 120 works based on the traditional forms. 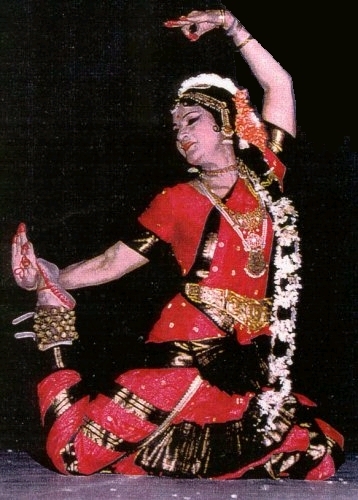 Kamala, as she is known in India, became a top exponent of the Vazhuvoor style of the dance, named for her mentor, Vazhuvoor Ramiah Pillai. He choreographed the dance sequences she performed to patriotic songs in the Tamil language film Naam Iruvar (The Two of Us) released in 1947, the year India became independent from Britain. The following year, she became one of the youngest artists featured at the Music Academy in the southern Indian city of Chennai. She continued to perform annually at the prestigious institution until the 1970s. She represented her nation in performances all over the world and danced for such luminaries as Britain’s Queen Elizabeth’s and U.S. President Dwight Eisenhower. 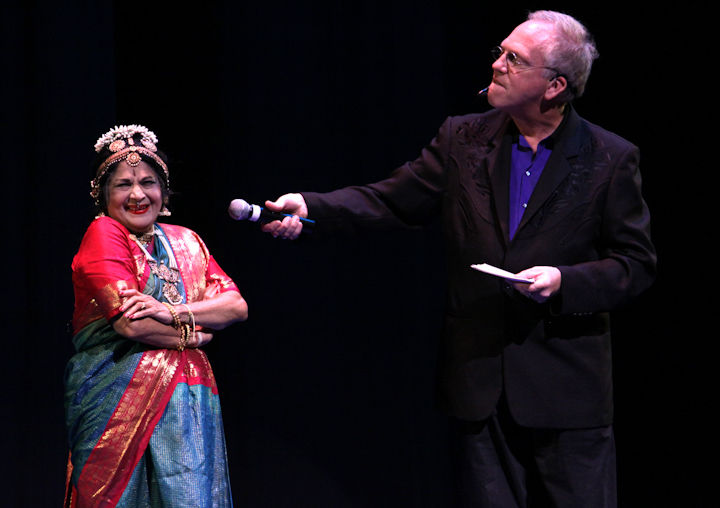 In the 1970s, Narayanan began coming to the United States to teach and found that she liked the country, its people and its arts. 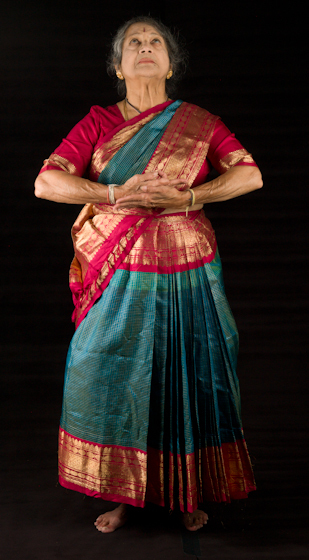 In 1980, she moved to the U.S. and established the Sri Bharatha Kamalalaya School of Dance, which offers classes at several sites in New York and New Jersey. She continues to teach, though she seldom performs now, because, as she said, “I have gained weight, number one. 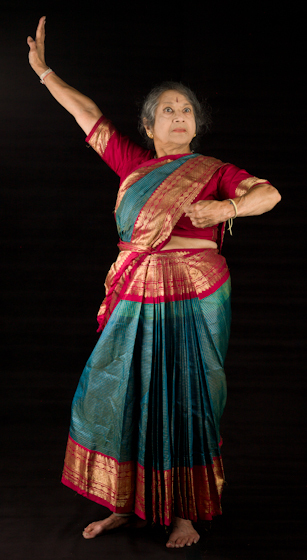 Second, I feel the dance is for the young people who can be very pretty and who can dance very well, with stronger footwork and good expressions on their faces.” She often accompanies her students when they go to India for their graduation performances for relatives who cannot afford to travel to America. “Classical Dancer Wins National Honor.” Strictly Somerset 23. (January 1997): 10. “Kamala The Dancer-Part 1.” Sruti-Summer Bumper Issue: 20+. 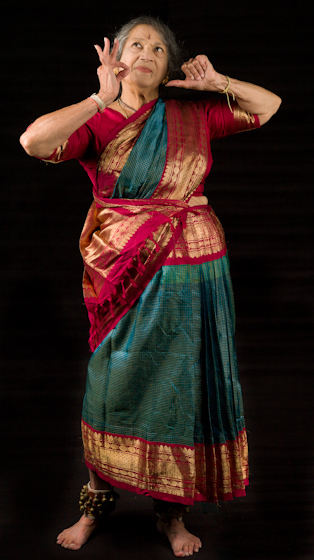 “Kamala The Dancer-Part 2.” Sruti: Indian Classical Music and Dance Magazine 45/46 & 48: 31+. Raman, S.V. “Complete Mastery.” The Hindu (29 July 1994): 29. Ranga Rao, V.A.K. “Wondrous Kamala.” Indian Express (September 6, 1992):7.